Dr. Ma started his legal career as Crown Counsel at the former Attorney General’s Chambers in 1985, after 11 years of police service. He was seconded to the Office of Members of the Legislative and Executive Councils in 1988, and had been Legal Adviser of the Legislative Council Secretariat and Counsel to the Legislature from February 1996 to June 2015. 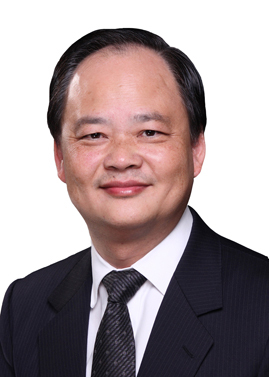 As Counsel to the Legislature, Dr. Ma advised the President of Legislative Council on legal issues arising from the business of the Council, which included the handling of all judicial review cases that involved the Legislative Council, President of Legislative Council, other Members of Legislative Council, and the Clerk to Legislative Council. He also advised major committees of the Council, including the House Committee, Finance Committee, Public Accounts Committee, and various Select Committees which conducted inquiries into public policy issues and related matters. Dr. Ma is expert in parliamentary practice and procedures, and he was one of the key advisers to the writing of the authoritative guide on Hong Kong’s legislative procedures: A Companion to the History, Rules and Practices of the Legislative Council of HKSAR. Dr. Ma has extensive experience in advising the Legislature on bills and subsidiary legislation placed before the Legislative Council for scrutiny and approval, as well as matters relating to the interpretation of the Basic Law. He has given advice Members of the Legislative Council, public companies and the Government in his practice at the bar on Basic Law issues and the operation of the Legislative Council. Dr. Ma’s areas of practice cover a broad spectrum of matters. These include conducting proceedings before the Guardianship Board and Appeal Panel established by the Social Workers Registration Board, advice on matters that concern building management, corporate and commercial, employment, personal injuries, probate, and trust matters. He has also been acting as counsel on fiat and defence counsel in criminal matters. In the public law area, Dr. Ma represents the Government and statutory bodies in judicial review proceedings.